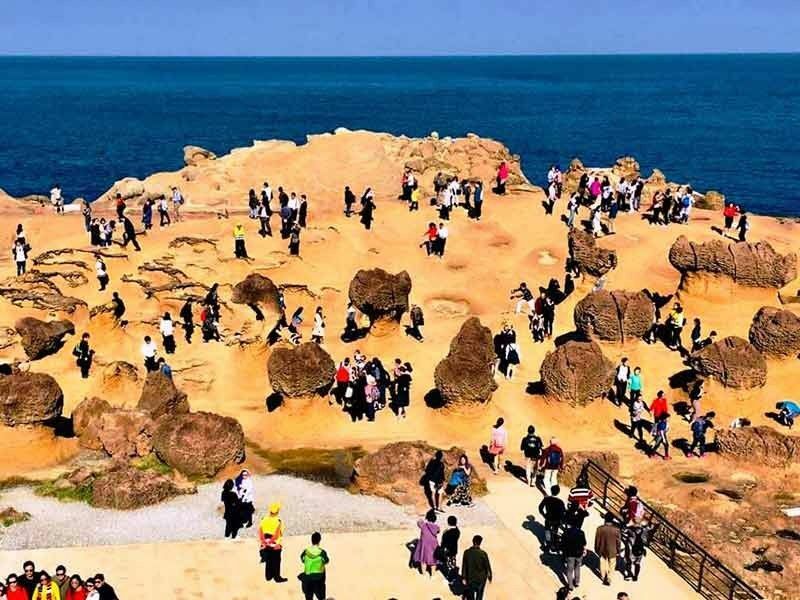 Located within a cape of 1.7-km long is Yehliu Geological Park, home to some of the most famous eroded rock formations in the world. 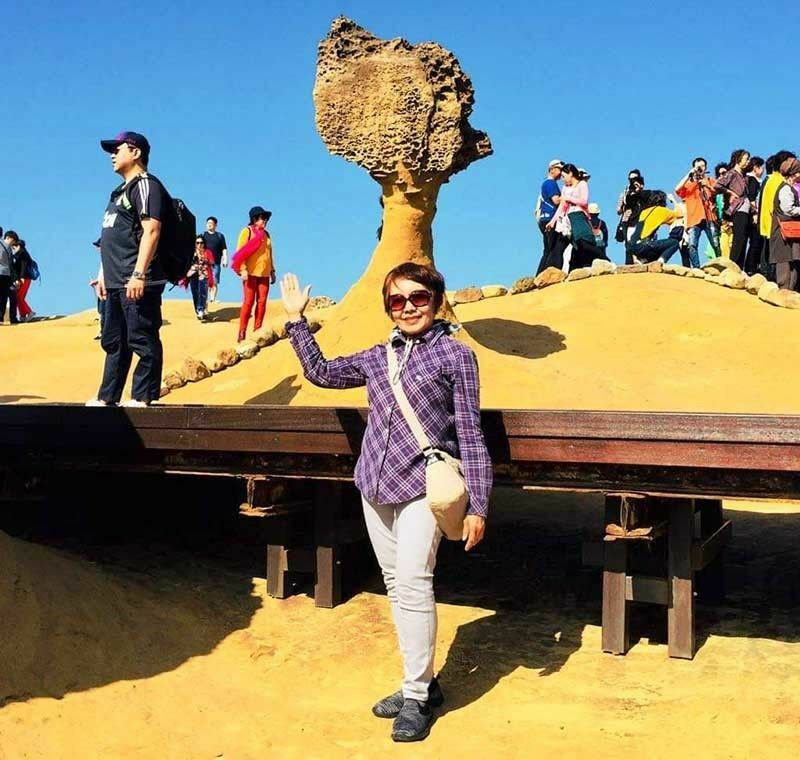 The power of nature is amply demonstrated in the strange and savage beauty of wind and water erosion on Taiwan’s coast. Many growths have been given names representing their shapes, such as the “Mushroom Rocks”, “Ice Cream Cone” “Fairy Shoe”, etc... 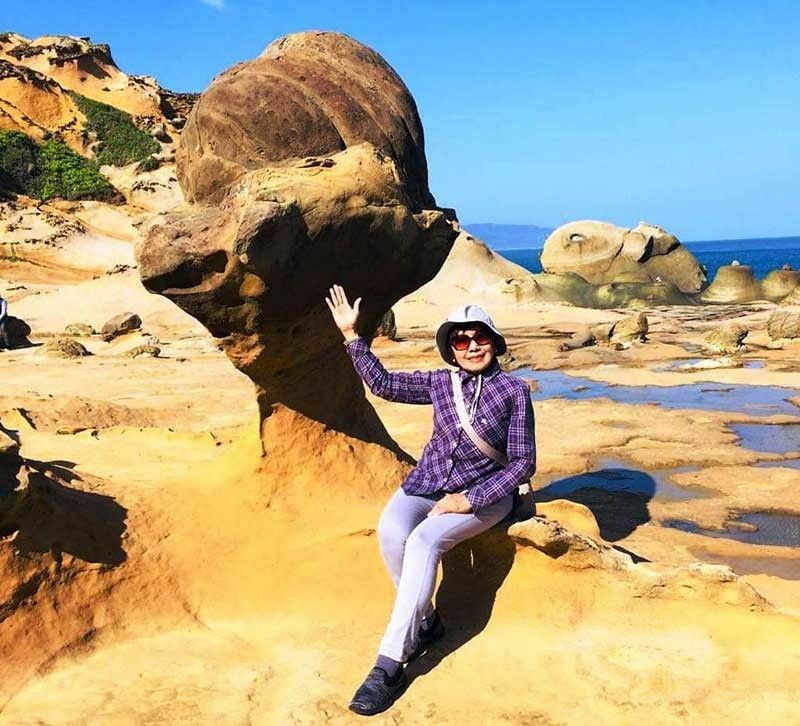 The most iconic rock is the “Queen’s Head”, which is regarded as the landmark of Yehliu. I spent more than three hours rambling around this huge area a few years back, but now, we were given only one hour. So, I headed out by myself and asked anyone nearby to take my photos. It was rewarding to see again these amazing rock formations, breathtaking views, and powerful ocean waves crashing on the shore. 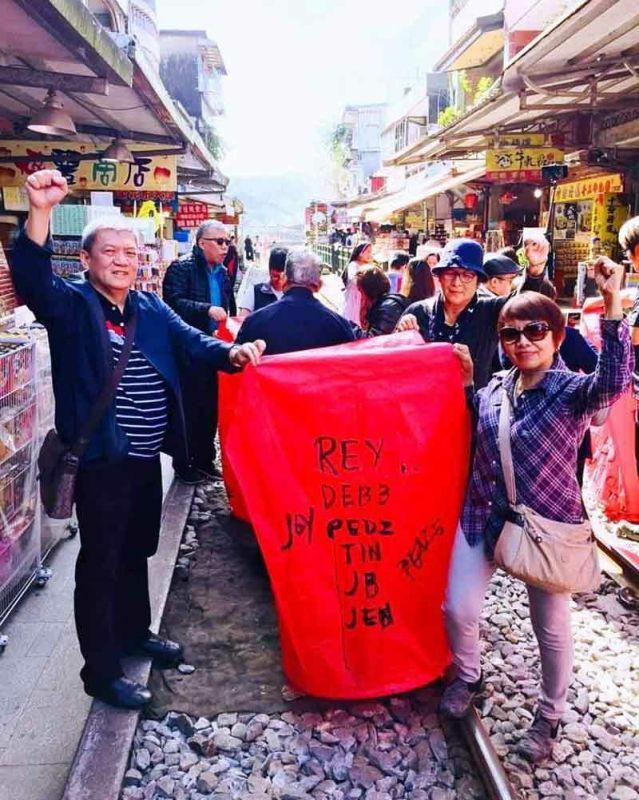 We enjoyed a half day trip to witness the tradition of Sky Lantern at Pingxi Old Street with its quaint atmosphere. 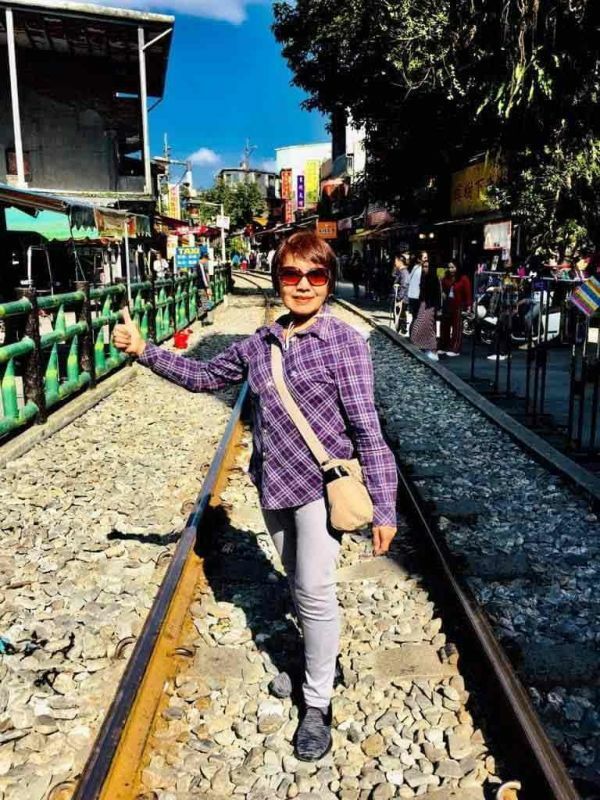 Along both sides of the railway on the slanted hillside are outdated houses untouched by modernity. Nearby businesses are customary grocery shops, drink stalls, and fruit stands. 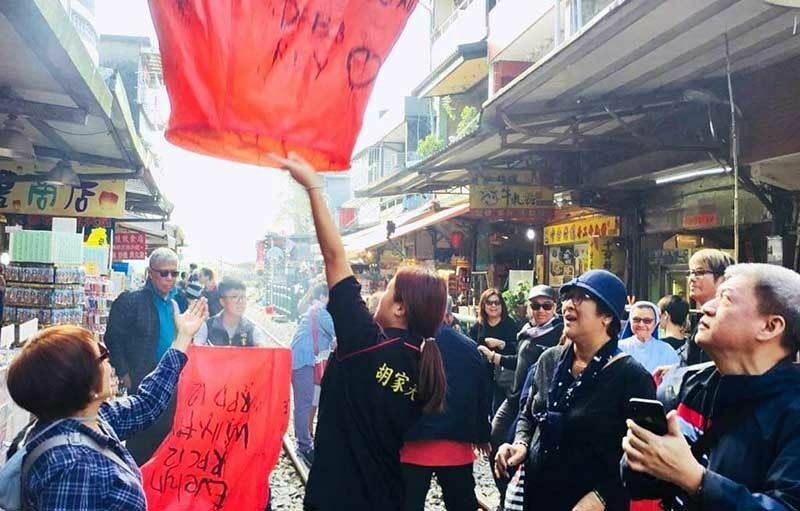 It comes to life when the sky lanterns float up into the sky. The lamps are made of paper, and are propelled like a hot air balloon. It was really incredible seeing a lot of people standing on the railway tracks taking photos and releasing the lights. 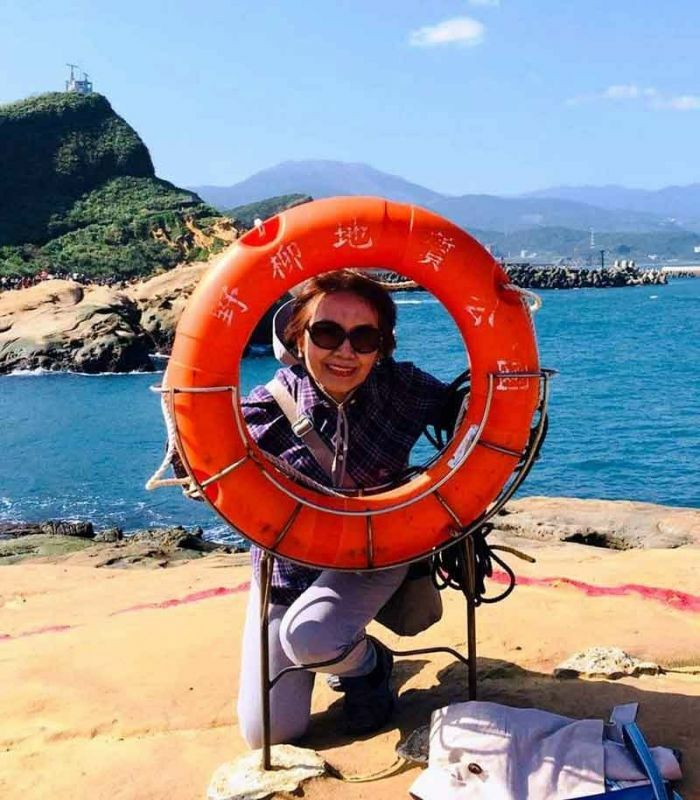 Visiting Pingxi for the sky lantern activity was a memorable and magical experience. 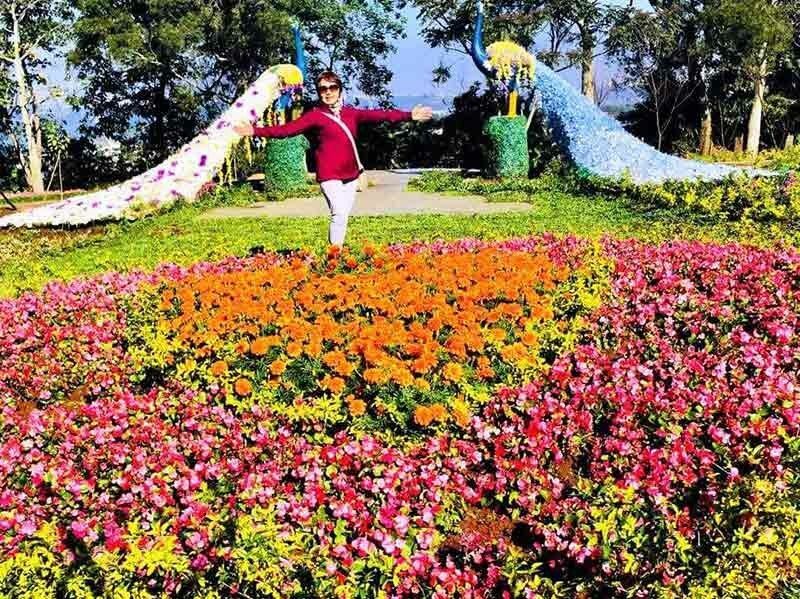 Three hours before departure time from Taoyuan International Airport, we headed to Daxi Flower Farm, a park with seasonal flowers blooming all year round. Somehow, maybe due to the season, there were portions that were empty at the time of our visit. 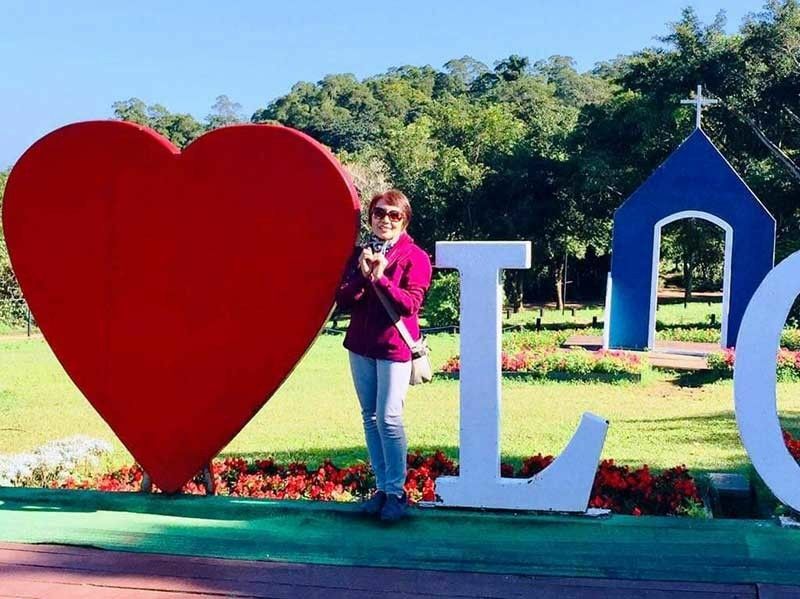 The park is very big and you need to walk around a bit to take in all the beautiful sights and décor for picture taking. 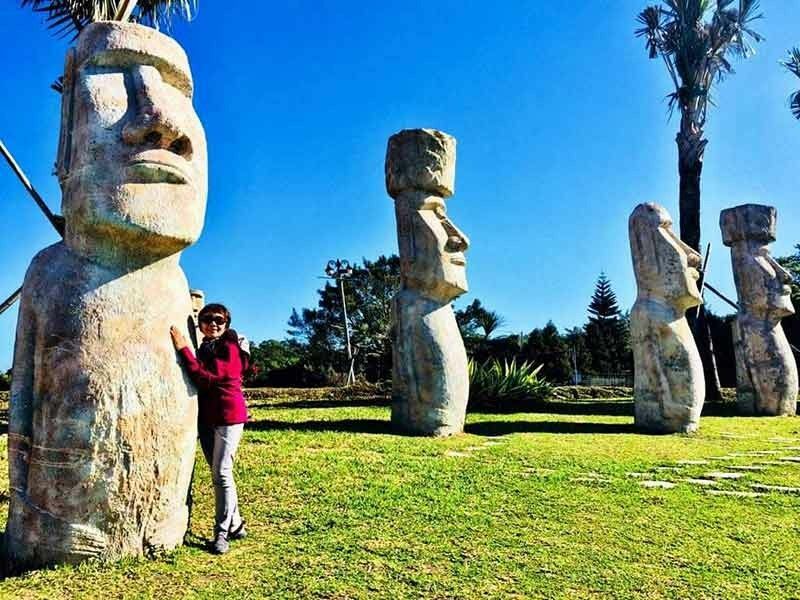 It is a popular filming site for many famous Taiwanese idol dramas. Wear comfortable walking shoes and bring an umbrella for rain or sun. 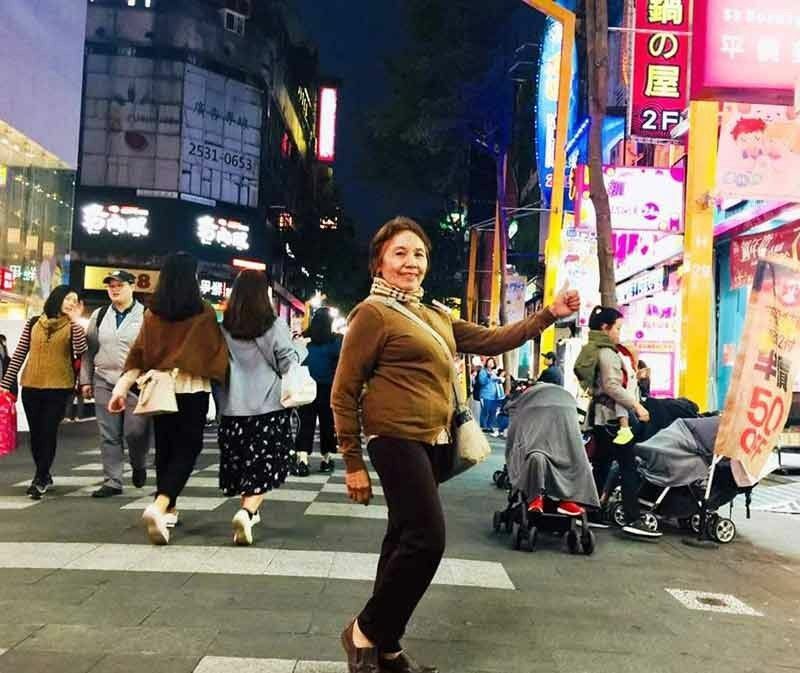 Taiwan is a melting pot of cultures with a colorful history. This enchanted place is where Modernity meets Tradition, East meets West and Business meets Pleasure. 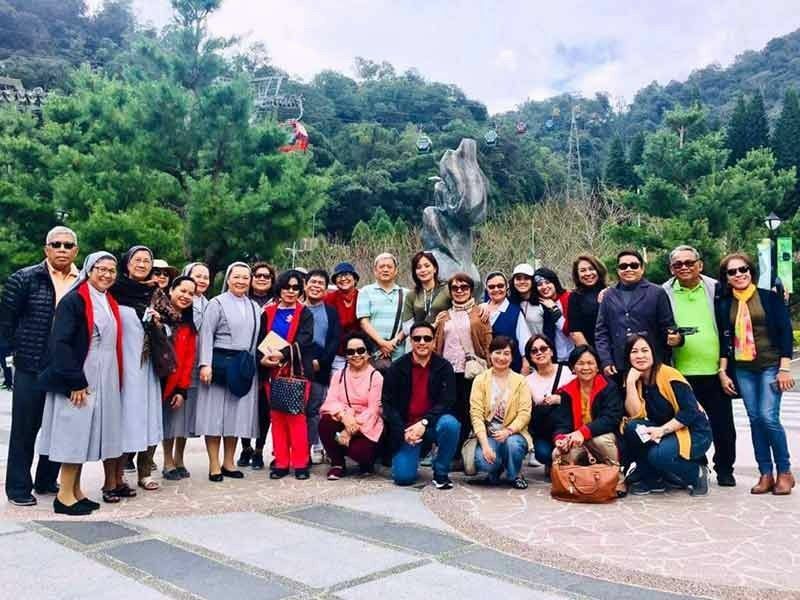 All the different places we visited stirred our imagination and beyond - a truly wonderful Taiwan experience!